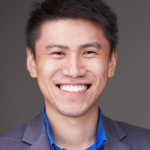 Category: Championing Entrepreneurship, Content Type, Futurpreneurs - Where are they now? 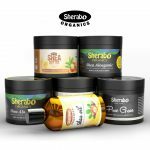 Sherabo Organics is a sole proprietorship that retails, wholesales and distributes fair trade certified organic unrefined Ugandan Nilotica Shea butter and Shea Oil. Products include body butters, hair moisturizers and hand creams. It takes a lot to stand out in Toronto’s food scene. Fortunately for new Toronto hotspot El Habanero and Churrobar, they have all that and then some. 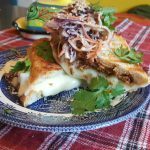 The Cuban restaurant serves up traditional dishes and gourmet churros like no-one else. 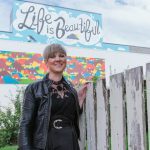 Even as a young child, Eryne Sarabin had a passion for curating experiences and finding unique and engaging ways to bring people together with storytelling. 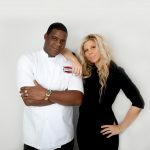 Today, Tycoon Events boasts an impressive list of accolades and clients. 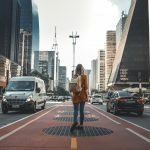 Category: Articles, Championing Entrepreneurship, Content Type, Futurpreneurs - Where are they now? 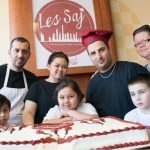 Les Saj is one of Winnipeg’s go-to Middle Eastern restaurants, serving up fresh and delicious food with generous portions and great pricing. 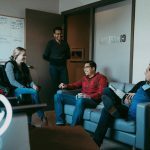 Based in Edmonton, Alberta, Cineflair is a video marketing and production agency that helps businesses, brands and organizations engage their audiences using video. They service clients across North America and abroad. Finding the perfect mentor is a little bit like dating. 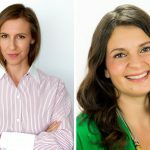 Find out why in our National Volunteer Week spotlight on Futurpreneur Valerie Crisp and her mentor, Daniela Kelloway of ClutchPR. Zach Isaacs and Willows Christopher are not your average entrepreneurs. 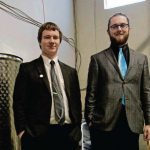 At 18, they founded Shrugging Doctor Beverage Company – Winnipeg’s only winery and one of the first in the province to offer home liquor delivery. 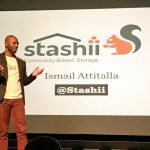 Ismail Attitalla is the founder of Stashii, a peer-to-peer storage marketplace based in Edmonton, Alberta. We’re encouraging our Futurpreneurs to share their start-up successes using the hashtag #FuturHighFive on social media. Here’s a round-up of some of the milestones shared over the past few weeks. 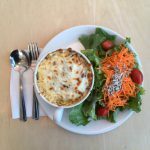 Beet Happening is a “modern lunch counter” in Winnipeg’s West End that specializes in providing delicious and nutritious food with fast-paced customer service. 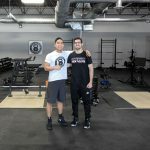 Winnipeg’s Movement Fitness and Performance offers a wide range of services including personal training, training programs, classes and workshops. We get it – unless you have a background in accounting, financial reports are probably not your cup of tea. Fortunately, we connected with Legacy Advantage founder Bob Wang, who offers bookkeeping for small businesses. 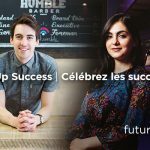 As a part of the campaign, we’re encouraging our Futurpreneurs to share their start-up successes using the hashtag #FuturHighFive on social media. Here’s a round-up of some of the milestones shared over the past few weeks. 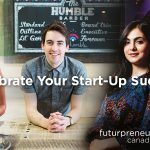 When entrepreneurs go through Futurpreneur Canada’s Start-Up Program, along with receiving financing and access to key resources, they are also paired with a mentor for two years. 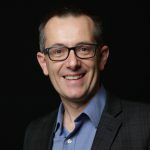 John Gregory is our spotlight for this month! 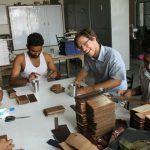 Making the industry shift from auditor to real estate agent to artisanal leather importer may seem like an unusual career path for some people, but not for HYDE Artisan Leather founder, David Whitrow. Here’s a round-up of some of the #FuturHighFive milestones shared over the past few weeks.